Each palette in the series boasts 9 different shades at a very pleasant price point. This eyeshadow palette retails for €6.99. That is a great bargain if it is any good. Hello New York is the cool toned out of the four palettes. If this is not your cup of tea then there is also a rosy toned number inspired by Paris and two warm toned palettes inspired by Sydney and Rio de Janeiro respectively. The palette is a simple cardboard packaging that has a soft magnetic closure. The mirror in the lid is a bit on the small side, so it isn’t the most practical if you were hoping to travel with this. There is no brush or any other extras, but I personally never use those anyway. With this, it is all about the eyeshadows so let’s just have a look at those. 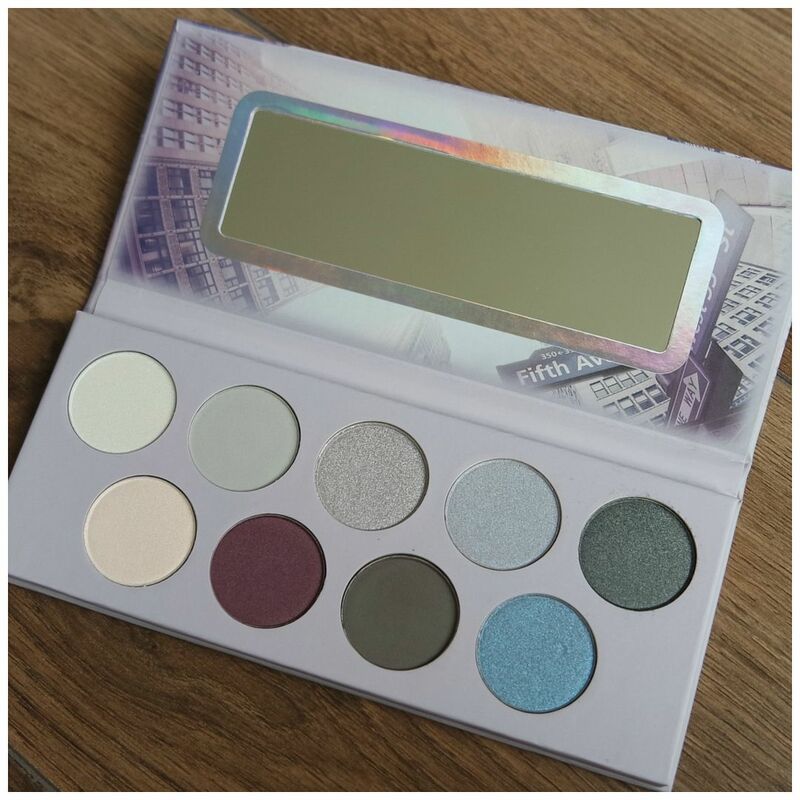 In total the Essence Hello New York eyeshadow palette features 9 different shades: 3 mattes and 6 shimmers. Two of the shimmers are duochromes and some of the shimmers are more satin than others. I feel there is a good variety of textures in the palette to create different looks. The shade range also looks quite interesting. It is a bit grey/ silver, but you also get a fun plum and the two duo chromes pull more blue. 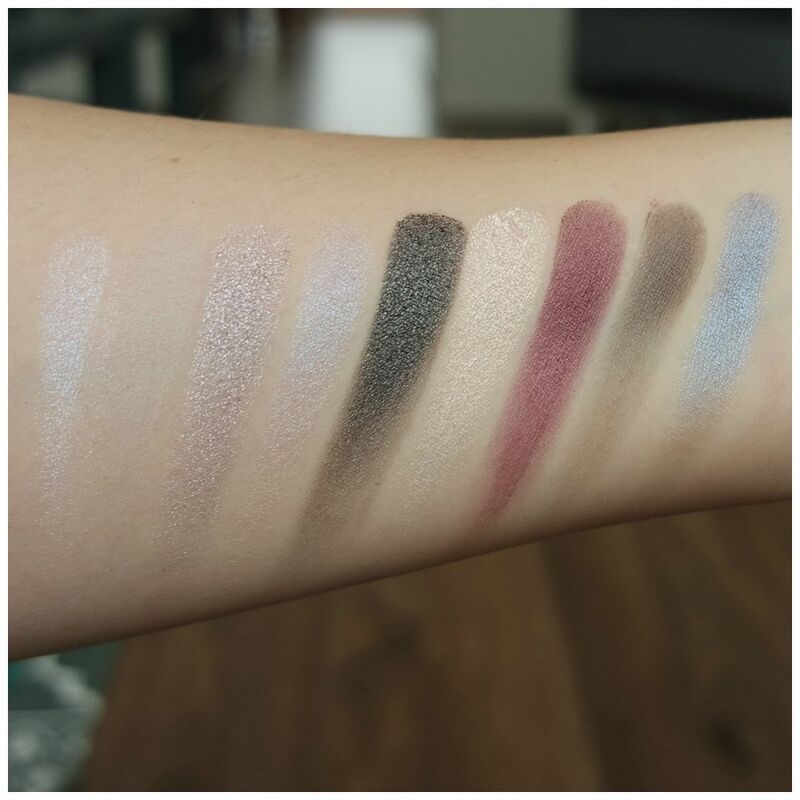 Once swatched, these eyeshadows do not all perform equally well. The two matte greys are sadly the most disappointing shades in the palette: they are sheer, difficult to build up and can look a bit patchy. A shame, because matte like these are needed to ground a look, giving you far fewer options than you would expect at first glance. The shimmers is where this palette is at. Especially the charcoal shimmer, goes on opaque and is the one shade that will really give you the depth you need to create more definition in a look. The other shimmers are pretty, but a touch sheer and they have difficulty sticking to the lid. This is definitely a palette that needs a primer and the chunkier shimmers would also work best over a glitter primer. To create this look, I used every single shade in the palette. Some of the shade do not look as pretty and intense as they look in the swatch. The lighter shimmers are especially disappointing. They need a lot of building up and foiling before they manage to stay put. The blue duo chrome in the bottom right corner of the palette was the biggest surprise to me. Together with the plum, it made for a stunning lower lash line look. I was able to make the palette work, but it is the type of palette that needs a bit of TLC to work well. 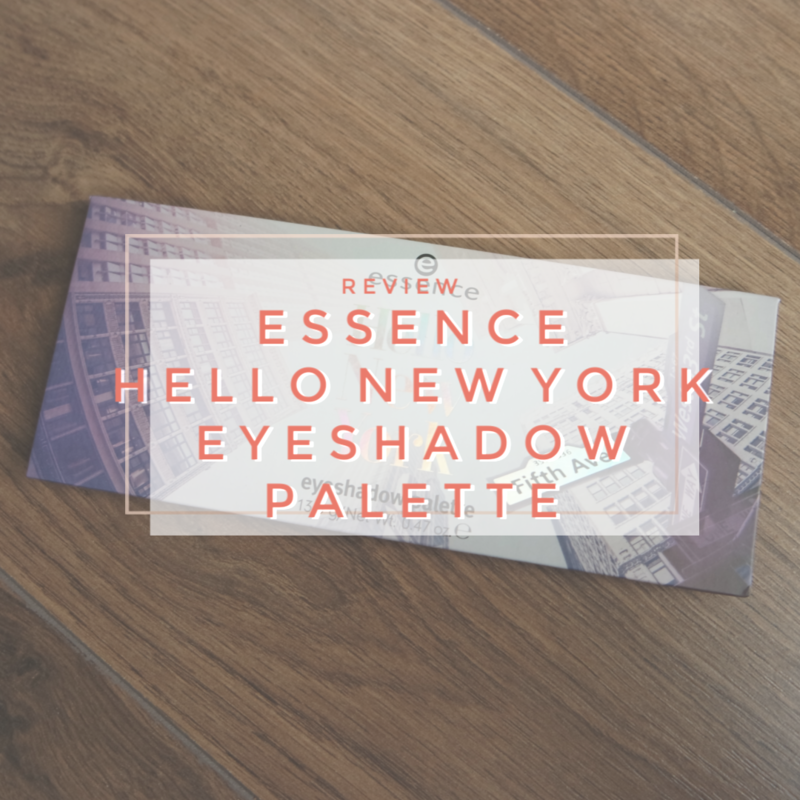 This Essence Hello New York eyeshadow palette is one that looked very promising and with a bit of time and attention it can be worked with well enough to create a pretty eye look. It depends on whether you are willing to put in that time and attention whether this palette is for you. 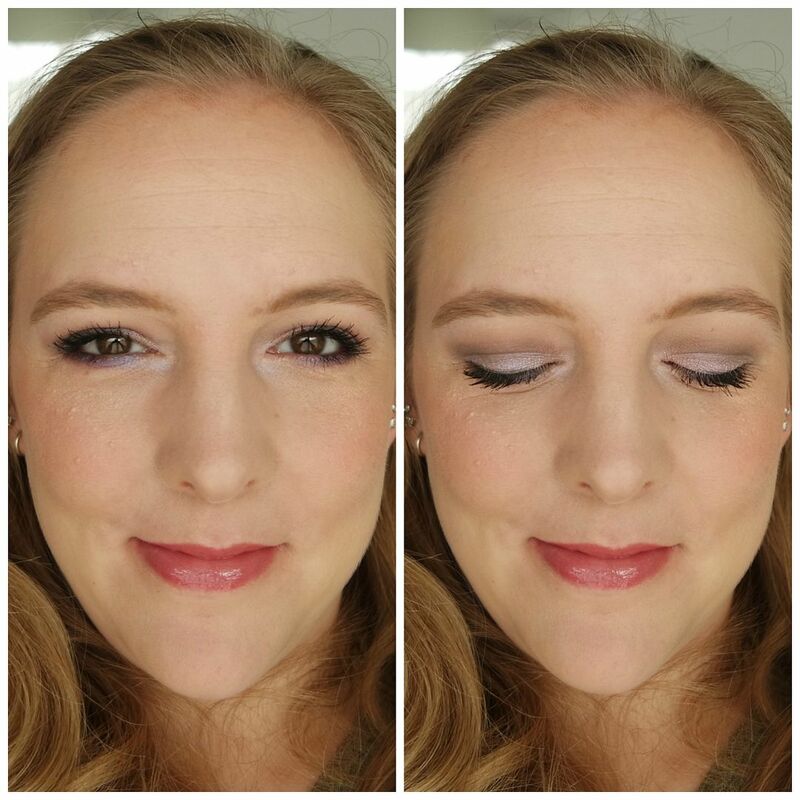 If you like this color scheme and are looking for affordable shadows that are cool toned and a bit unique, then this is one you may want to try. If you are looking for the best cool toned eyeshadow palette on the planet, then this is not it. It has its flaws, but it also most certainly has its merits. What do you think of the Essence Hello New York eyeshadow palette? Nice cool colors in that one. I’m definitely a warm, but I still like cool colors! I love cool colors. It can make for such a fresh, different look. beautiful palette! too bad that the mattes don’t perform very well! This palette could do with a great matte indeed!